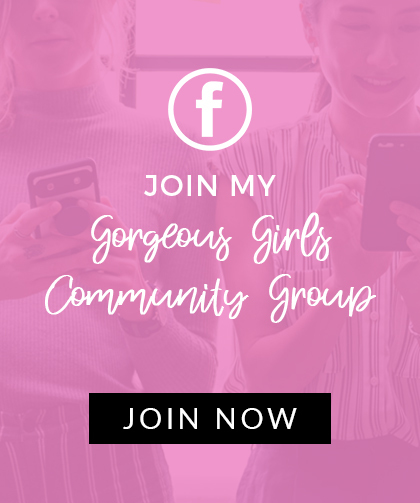 You didn’t think I’d go all Memorial Day Weekend and not share a great sale post with y’all now did you? 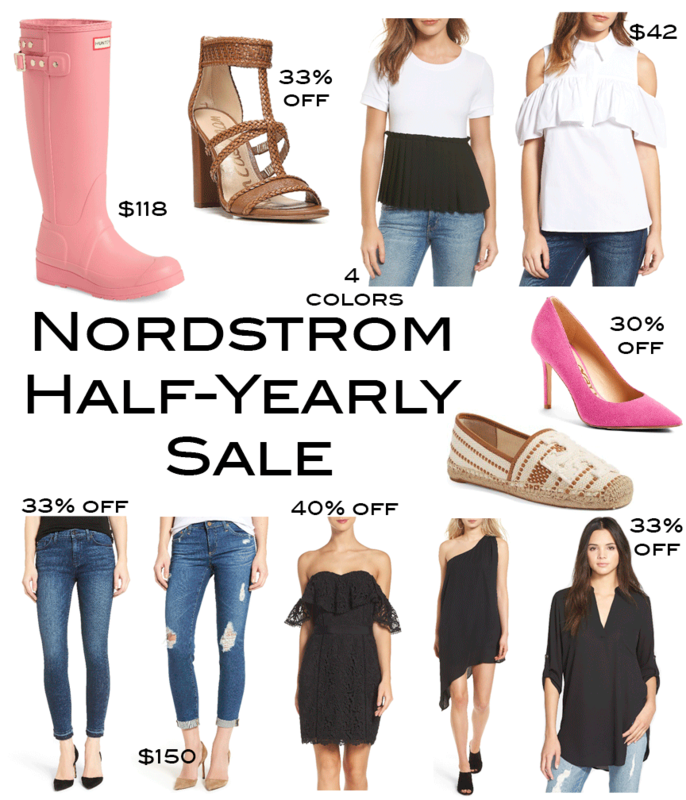 The Nordstrom Half-Yearly Sale is on and I rounded up a few of my faves for you to shop today! Hunter Boots: And Pink Hunter Boots at that (and they also come in sage)! Here’s my YouTube video with my full review on my Hunters for your viewing pleasure. T-strap Sandals. These are perfect for summer and come in four different colors. Peplum Tee. I love a good peplum top. This one also comes in four different color combos. Cold Shoulder Top. This style top is literally everywhere this season. It also comes in a darling pale blue color. Hot Pink Pumps. I have these heels and love them. See how I styled them here. These run TTS; I wear a US 7. Tory Burch Espadrilles. These are too cute for summertime and beach vacations. Hudson Jeans. I have these jeans and love the hemline. Such a cute touch! These run TTS; I wear a 26. AG Jeans. I’ve worn the poo out of my beloved AG skinny jeans from the Nordstrom Anniversary Sale last summer. This is a rolled hem version. They run TTS; I wear a 26. Strapless Dress. If you have a wedding invite on your fridge right now, then look no further for what to wear. Such a fun take on the LBD (little black dress). One Shoulder Dress. Love this $33 dress for a summer date night look. It comes in three different colors and is great for so many different occasions. Tunic. I have this top in olive green and black. It’s the perfect top to throw on with jeans and always looks great on. Love the hunter boots! So did you finally buy the pink ones? In your hunter boots review video you talked about wanting the baby pink and baby blue ones. I saw your instagram video about your closet and love how organized it is! I seriously love their new filters! I can’t wait to see what your home looks like when it is finished. Not yet… I need to!! Love all these items, especially the one shoulder dress! My birthday’s coming up; we’re friends, aren’t we? ? Hope y’all are having a great Memorial Day Weekend! Didn’t mean to send it “anonymously”! ?